A variety of techniques are used to investigate the constituents of cannabis and their concentrations. From gas chromatography to make determinations about terpenes in a sample to quantitative polymerase chain reaction (qPCR) techniques to identify mycotoxins and microorganisms, these differing techniques require a wide variety of laboratory tools. The most common among cannabis testing instruments are chromatography and spectroscopy equipment, often combined together for a more complete analysis. However, this equipment can be expensive, sometimes prohibitively expensive. Initial investments may range anywhere from $75,000 up to $600,000 or more, depending on what sort of testing is being performed in the lab. As such, new labs or labs looking to expand their analytic offerings to cannabis testing may also consider the purchase of previously owned equipment to save on initial start-up costs. What follows is a list of vendors known to offer new and/or used instruments, software, and equipment commonly used in cannabis testing laboratories, with links to either the instruments marketed for cannabis testing or a landing page to begin a search. This is by no means a complete list but a representative example of the vendors marketing to the cannabis testing industry. 2 AB Sciex Pte. Ltd.
16 Peak Scientific Instruments Ltd.
22 Shimadzu Scientific Instruments, Inc.
23 Sigma-Aldritch, Inc. / MilliporeSigma, Inc.
908 Devices, Inc. develops and distributes chemical analysis tools based on mass spectrometry. The company markets its G908 to the cannabis industry. Sciex offers four different Triple Quad systems for tandem mass spectrometry paired with liquid chromatography (LC-MS/MS): the 6500+, 5500, 4500, and 3500. The company claims that with these systems "scientists can acquire multiple reaction monitoring (MRM), precursor, neutral loss, and product ion scans to develop powerful methods for complex matrices, all while maintaining reproducibility and robustness." Sciex also offers three different Triple Quad Linear Ion Traps (QTRAP) systems for LC-MS/MS: the 6500+, 5500, and 4500. The company states that these are similar to the Triple Quad systems "but with enhanced scan functions to enable simultaneous quantitation and confirmation." Sciex also offers a "vMethod," a quantitation method for pesticide and cannabinoid analysis, that works on many of their LC-MS/MS systems. The company suggests instrument options based on what type of testing will occur. alpha-CAT Lab s.r.o. is a cannabis testing and equipment manufacturing business based in Prague, Czech Republic. The company not only runs cannabis testing laboratories in Europe but also develops the alpha-CAT cannabinoid analysis tool "which combines the simple analytical technique of thin-layer chromatography (TLC) with specific thin-layers and developing fluid." Consult the website for more information. See the Theory & Applications booklet (main landing page) for more details on how to integrate the equipment for each activity. The company suggests instrument options based on what type of production activity will occur. Consult the Emerald website to see all they offer. Fritsch GmbH manufactures sample preparation and particle sizing equipment for laboratories. The company lists one instrument specifically for the cannabis industry. Universal Cutting Mill PULVERISETTE 19: a cutting mill "to finely mill cannabis plant material in preparation for SFE processes," noting that "[t]he efficient and precise reduction in particle size optimizes oil output and formulation." GemmaCert Ltd. is a cannabis testing technology company that markets the GemmaCert analysis tool. GenTech Scientific, Inc. is a distributor of refurbished laboratory analytical instruments. The company states they "guarantee OEM standards at a fraction of the cost of new instruments, and we provide one year warranty on all GenTech certified used lab instruments." Top instruments include chromatography and spectrometry equipment, and GenTech also offers new consumable kits. Inventory changes regularly, so visit their website often for the latest. LGC Limited—operating as LGC Standards—manufactures and distributes reference materials and proficiency testing schemes for a variety of industries. Among its offerings are cannabis-related testing reference standards for pesticides, residual solvents, and terpenes. Consult the vendor's web store or contact them directly to learn about their entire stock of reference materials. Stock changes regularly, so visit their website often for the latest. Microbiologics, Inc. develops and distributes biometerials. Among them, the company markets equipment and consumables for microbial testing of cannabis. Materials for growing reference cultures, bundled sets and panels of microorganisms, self-contained strains, and molecular standards are among Microbiologics' offerings. Consult their website for more details. Neutec Group, Inc. provides equipment and support services to quality control and research and development laboratories. Neutec offers equipment solutions for cannabis testing labs testing for microbiological contaminates and water activity. This includes colony counters, water activity meters, multispectral imaging solutions, and air samplers. Consult their website for more details. Orange Photonics, Inc. ia a cannabis testing technology company that markets the LightLab cannabis analyzer. LightLab: a portable high-performance liquid chromatography selective separation spectroscopy instrument for cannabis potency analysis; the optional Terpenes+ module also allows for terpenes analysis. The company suggests gas generation options based on what type of testing will occur. Consult their website or cannabis capabilities flyer for more information. Consult their website or catalog to review all their cannabis testing supplies. Sage Analytics develops and manufactures potency testing solutions for the cannabis testing industry. Sigma-Aldritch, Inc. / MilliporeSigma, Inc. Note: Sigma-Aldritch, Inc. was acquired by Millipore and became MilliporeSigma, Inc. The Sigma-Aldritch website is still active and demonstrates its cannabis testing materials; however, the website will likely change in the future. See their cannabis testing catalog for more details. SPEX CertiPrep, Inc. is a distributor of certified reference materials and sample preparation equipment for analytical spectroscopy. The company markets standards for many types of cannabis testing, as well a few sample preparation instruments such as mills and grinders. Consult their website for available supplies, as well as their online standards catalog. Aside from instruments, Thermo Fisher also lists a variety of chromatography columns and sample preparation kits for each type of testing. Consult the website for more on these items. Q Exactive Hybrid: liquid chromatography mass spectrometry that has "quadruple precursor ion selection with high-resolution, accurate-mass (HRAM) Orbitrap detection"
Willow Industries, LLC is a Colorado-based cannabis decontamination technology business and consultancy. The company produces the WillowPure, a device that allows users to reduce the microbial contamination levels of cannabis. The device comes in versions that support up to five, 20, and 40 pounds. Consult the website for more details. ↑ Schrover, J. (January 2016). "Industry Snapshot: Testing Labs". Marijuana Business Magazine. https://mjbizmagazine.com/industry-snapshot-testing-labs/. Retrieved 06 December 2018. ↑ Clifford, B. (05 February 2018). "Cannabis Quality and Contamination Testing". News Medical Life Sciences. https://www.news-medical.net/news/20180205/Cannabis-Quality-and-Contamination-Testing.aspx. Retrieved 06 December 2018. ↑ Borchardt, D. (05 April 2017). "Cannabis Lab Testing Is The Industry's Dirty Little Secret". Forbes. https://www.forbes.com/sites/debraborchardt/2017/04/05/cannabis-lab-testing-is-the-industrys-dirty-little-secret/. Retrieved 06 December 2018. ↑ "About Us". AB Sciex Pte. Ltd. https://sciex.com/about-us. Retrieved 20 November 2018. ↑ "Grow Your Cannabis Lab's Potential and Bottom Line with LC-MS/MS Analysis". AB Sciex Pte. Ltd. https://sciex.com/applications/food-and-beverage-testing/cannabis-testing. Retrieved 20 November 2018. ↑ "Triple Quad LC-MS/MS Systems". AB Sciex Pte. Ltd. https://sciex.com/products/mass-spectrometers/triple-quad-systems. Retrieved 21 November 2018. ↑ "QTRAP LC-MS/MS Systems". AB Sciex Pte. Ltd. https://sciex.com/products/mass-spectrometers/qtrap-systems. Retrieved 21 November 2018. ↑ "vMethod Application for Quantitation of Pesticide Residues and Cannabinoids in Cannabis Matrices 1.0". AB Sciex Pte. 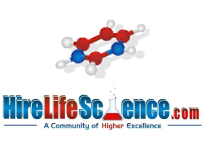 Ltd. https://sciex.com/products/methods/vmethod-application-for-quantitation-of-pesticide-residues-and-cannabinoids-in-cannabis-matrices-10. Retrieved 21 November 2018. ↑ 9.0 9.1 "Cannabis Testing Solutions". Agilent Technologies, Inc. https://www.agilent.com/en/promotions/cannabis. Retrieved 21 November 2018. ↑ "How it works". Alpha-CAT Lab s.r.o. https://www.alpha-cat.org/the-test/how-it-works/. Retrieved 29 November 2018. ↑ 11.0 11.1 "Cannabis Booklet: Theory & Applications" (PDF). BÜCHI Labortechnik AG. https://static1.buchi.com/sites/default/files/content-page/downloads/Application_Booklet_Cannabis_.pdf. Retrieved 21 November 2018. ↑ "Cannabis Analysis". CEM Corporation. http://cem.com/cannabis. Retrieved 21 November 2018. ↑ "Emerald Scientific". Emerald Scientific, LLC. https://emeraldscientific.com/. Retrieved 21 November 2018. ↑ "CANNABIS PLANT MATERIAL PREPARATION FOR EFFICIENT EXTRACTION". Fritsch GmbH. https://www.fritsch-international.com/sample-preparation/applications-solutions/details/solution/cannabis-plant-material-preparation-for-efficient-extraction/. Retrieved 21 November 2018. ↑ "GemmaCert - Technology". GemmaCert Ltd. https://gemmacert.com/index.php/tech/. Retrieved 21 November 2018. ↑ "GenTech". GenTech Scientific, Inc. https://gentechscientific.com/. Retrieved 21 November 2018. ↑ "LightLab Cannabis Analyzer". Orange Photonics, Inc.
↑ 18.0 18.1 McBride, B. (09 November 2018). "What are the most common forms of cannabis testing?". Peak Scientific Instruments Ltd. https://www.peakscientific.com/blog/what-are-the-most-common-forms-of-cannabis-analysis/. Retrieved 22 November 2018. ↑ "Discover PerkinElmer". PerkinElmer, Inc. http://www.perkinelmer.com/corporate/company/discover-PerkinElmer/index.html. Retrieved 22 November 2018. ↑ 20.0 20.1 "Cannabis Analysis". PerkinElmer, Inc. http://www.perkinelmer.com/category/cannabis-analysis. Retrieved 22 November 2018. ↑ "Cannabis Solutions: Growing Confidence". Quantum Analytics, LLC. https://www.lqa.com/markets/cannabis/. Retrieved 29 November 2018. ↑ "Growing Analytical Solutions for Cannabis Labs". Restek Corporation. https://www.restek.com/Landing-Pages/Cannabis#products. Retrieved 22 November 2018. ↑ 23.0 23.1 "SRI Gas Chromatographs for Cannabis Testing" (PDF). Scientific Repair, Inc. September 2016. https://www.srigc.com/cn/downloads/1/Model420GCSept2016%20(2).pdf. Retrieved 22 November 2018. ↑ "Cannabis Testing Solutions". Shimadzu Scientific Instruments, Inc. https://www.ssi.shimadzu.com/industry/cannabis-testing-solutions.html. Retrieved 22 November 2018. ↑ "Cannabis Testing: Quality You Can Trust" (PDF). Sigma-Aldritch, Inc. March 2017. https://www.sigmaaldrich.com/content/dam/sigma-aldrich/docs/Sigma-Aldrich/General_Information/1/cannabis-testing.pdf. Retrieved 22 November 2018. ↑ 26.0 26.1 "Cannabis Testing in Canada". Thermo Fisher Scientific. https://www.thermofisher.com/us/en/home/products-and-services/promotions/industrial/cannabis-testing-canada.html. Retrieved 22 November 2018. ↑ "Botanicals". VICAM. http://vicam.com/markets/mycotoxin-test/botanicals. Retrieved 22 November 2018. ↑ "Building Laboratory Capacity to Ensure Cannabis Safety, Quality, and Efficacy" (PDF). Waters Corporation. August 2018. http://www.waters.com/webassets/cms/library/docs/720006394en.pdf. Retrieved 22 November 2018. ↑ Tran, K.; Twohig, M; Young, M. et al. (September 2018). "Determination of the Oregon Pesticide List in Cannabis Using a Simple Extraction Procedure with dSPE Cleanup and UPLC-MS/MS" (PDF). Waters Corporation. http://www.waters.com/webassets/cms/library/docs/720006373en.pdf. Retrieved 22 November 2018. ↑ Aubin, A.J. ; Layton, C.; Helmueller, S. (November 2018). "Separation of 16 Cannabinoids in Cannabis Flower and Extracts Using a Reversed-Phase Isocratic HPLC Method" (PDF). Waters Corporation. http://www.waters.com/webassets/cms/library/docs/720006426en.pdf. Retrieved 22 November 2018. ↑ "Mass Confirmation of Cannabinoids in Cannabis sativa by Using HPTLC-QDa" (PDF). Waters Corporation. July 2017. http://www.waters.com/webassets/cms/library/docs/720006047en.pdf. Retrieved 22 November 2018. ↑ Gottardi, M.; Ferron, F.; Lee, R. et al. (September 2018). "Using UPLC-MS/MS for the Determination of Carboxy-THC (cTHC) in Hair for Forensic Toxicology" (PDF). Waters Corporation. http://www.waters.com/webassets/cms/library/docs/720006363en.pdf. Retrieved 22 November 2018. ↑ "WillPure". Willow Industries, LLC. https://willowindustries.com/willowpure-process/. Retrieved 29 November 2018. This page was last modified on 17 March 2019, at 17:41.